Tennis action heats up in Gulf Shores this summer. Sign up, book your room and head to the beach for this exciting youth tennis tournament. Make sure to check out our sponsor page when planning your trip! Rate Restrictions: Offer not valid on line. Rates are subject to availability and may change at any time; some restrictions may apply and discount can not be taken in conjunction with any other offers. When using our 888-633-7101 number to book at our hotels, please use group code 1470530 to receive discount. Buses, RVs, and trailers are required to call ahead for parking arrangements. There’s simply nowhere else like it on the Gulf Coast. The all new Lodge at Gulf State Park, A Hilton Hotel is a model of resilient, environmentally-friendly coastal development where connectivity to the outdoors is a central focus. Located on the sugar white sand beaches and emerald green water of the Gulf of Mexico, The Lodge at Gulf State Park, A Hilton Hotel offers 350 rooms including 20 suites, 4 dining outlets that featured locally sourced provisions, incredible terrace seating and a Coffee and Wine Bar in our main Lobby. The 12,000+ sq. ft ballroom is the largest beach view ballroom on the Gulf Coast. 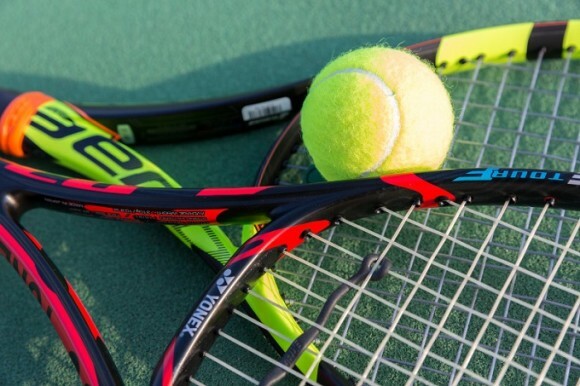 Harris Properties is excited and proud to welcome the 2019 USTA Gulf Shores Summer Slam Tennis Tournament! We are eager to offer a variety of premium accommodations, including the Orange Beach Villas. This is a quiet community of 3 bedrooms 2 bathroom townhomes. These units offer an outdoor pool, community meeting room, stocked fishing pond, gazebo, front door parking, ground floor units (no elevators!). Each townhome unit features ceramic tile floors throughout, a full sized washer and dryer, complete kitchen, and patio with a charcoal grill. Orange Beach Villas provide a very convenient location to sporting venues and area attractions: bath house. Less than a half mile to the Orange Beach Sports Complex. One mile from The Wharf, featuring: a movie theater, restaurants, coffee shops and terrific shopping. Less than 7 miles from the Gulf Shores Sports Complex. Only 4 miles to the Cotton Bayou Public Beach; free bathhouse and outdoor shower. You only live once, but you get to serve twice! It is our pleasure to welcome all 2019 Gulf Shores Summer Slam Tennis Tournament to our beautiful beaches of the Alabama Gulf Coast. Located directly on the beach, all of our spacious guest rooms feature a private balcony, mini fridge, microwave, Keurig coffee maker, iron, ironing board, and hair dryer, complimentary wired/wireless high speed internet, indoor/outdoor pool, 2 whirlpools, guest laundry facilities, 24 hour complimentary business center, and onsite fitness center. Rates are subject to rooms (standard inland with 1 king bed or 2 queen beds) availability and taxes. When making reservations ask for Group Code “SCR” or book your entire team online by clicking the link below. Contact Group Sales at hotel with questions. Rate: Rates starting at $279.00 plus tax per room per night. We're having fun at the Holiday Inn Express Orange Beach and it is our pleasure to welcome all Tennis Pros to the beautiful waters of Alabama Gulf Coast beaches. Located directly on the beach, all of our spacious guest rooms feature a private balcony, mini fridge, microwave, Keurig coffee maker, iron, ironing board, and hair dryer, complimentary wired/wireless high speed internet. We also have an outdoor pool, whirlpool, guest laundry facilities, 24 hour complimentary business center, onsite fitness center and beachfront poolside bar (seasonal) When making reservations ask for Corporate Code 100224694. For groups of 10 or more, contact the Sales Manager, Leslie Haley at the hotel directly at 251-974-1634 or you can e-mail at [email protected] for the best rates and availability. Earn IHG Business Rewards Points! Earn 3 points per $1 spent within a group or meeting booking with no minimum qualifying spend to earn points! Please visit holidayinnexpressorangebeach.com or call 1-800-HOLIDAY and book. We have gulf front and bay front condos ranging from a 1 bedroom up to a 4 bedroom available throughout Gulf Shores and Orange Beach. Total includes all taxes and fees for a 7 night stay. Rate Restrictions: Subject to Availability. 7-night minimum.